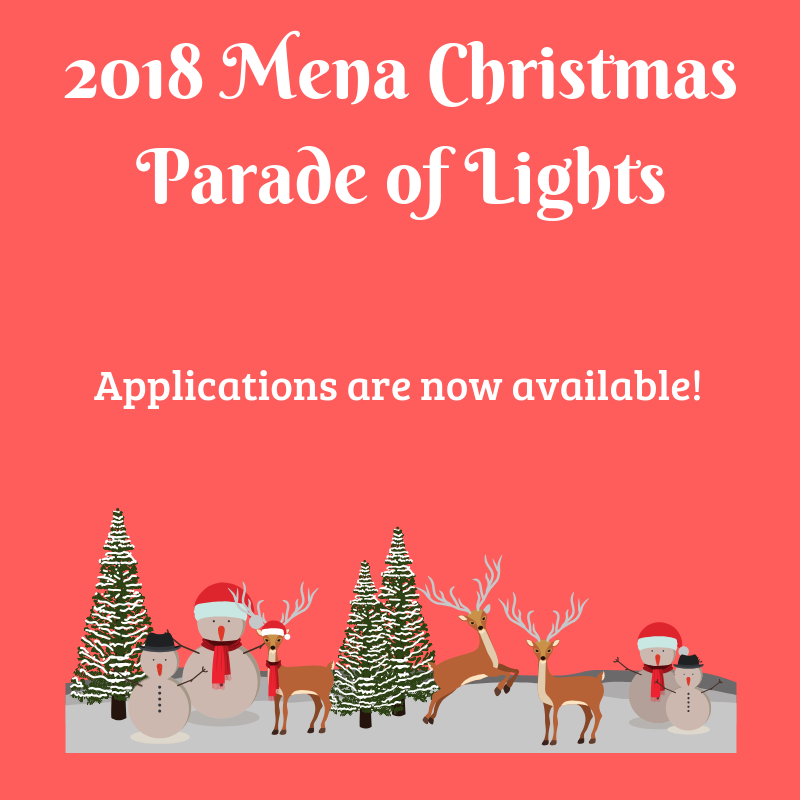 On December 1st we invite you to participate in Mena's biggest and brightest parade! 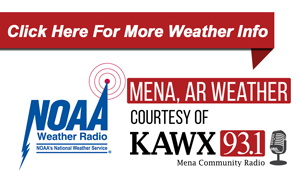 Download your application at www.menapolkchamber.com or contact the Chamber office at 479-394-2912 ~ secretary@menapolkchamber.com. 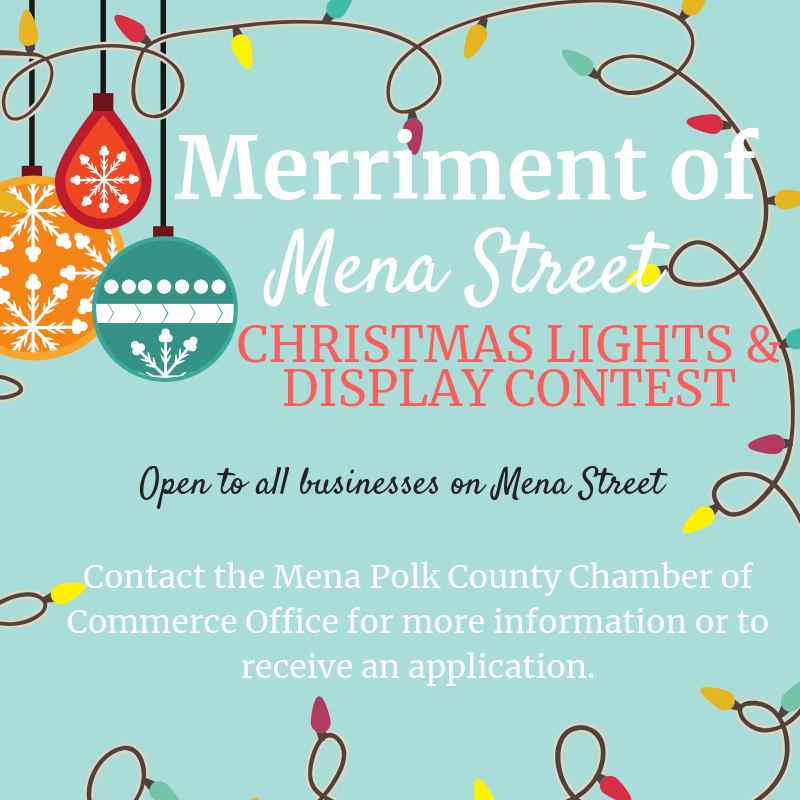 New this year is our Merriment of Mena Street - Christmas Lights and Display Contest! It's time to make that storefront sparkle and show off your hard work by entering our contest. Open to all businesses on Mena Street, no entry fee, registration and display must be completed by November 26, 2018 to be eligible for judging. Registration forms can be found on our website or by contacting the Chamber office.